That sought-after Hollywood smile is not just for the rich and famous. 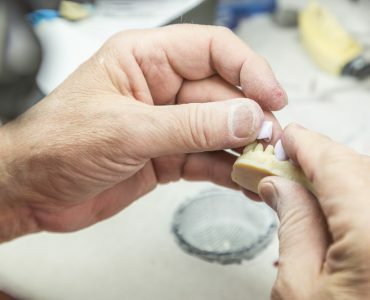 Dental improvements such as bridges, crowns and dental implants are available to everyone, but its important to research the background, the time it will take and the price of dental implantsto make sure patients are making the right decisions. 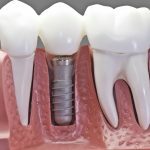 In this article we will focus on the advantages of dental implants, and what factors impact on the cost, so everyone knows what makes the best dental implantsand what their dental implants cost could be. Dental implants look, feel, fit and function like natural, healthy teeth and are so comfortable that people with them don’t have to think about them – they can be brushed and flossed just like natural teeth and also retain the natural face shape and smile. 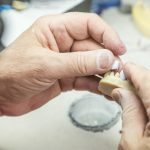 Dental implants that are well cared for can last for a very long time whereas other options including some dental bridges and dentures may need to replaced as often as every 5 to 10 years. 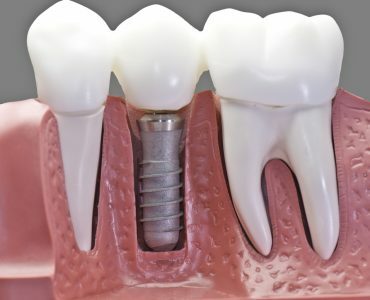 The implants will also be secure so wont slip or click when doing everyday things such as eating and talking, and they also protect facial bone and healthy teeth. Leaving empty spaces in the mouth after losing one or more teeth can lead to jawbone deterioration, and dental implants are the only tooth replacement option that assists in the stimulation of bone growth and therefore prevents bone loss. Modern dental implants have been used for over 30 years and are the strongest devices available to support replacement teeth and allow them to function naturally, too. When the procedure is done by a trained dentist it is one of the most predictable procedures in dentistry. When looking at havinglocal dental implants or looking further afield for a dentist, finding out how long it will take overall and thus the impact it will have on everyday life is key to making a decision. Implant treatment usually involves different stages that take place anywhere from 3 to 9 months or more. 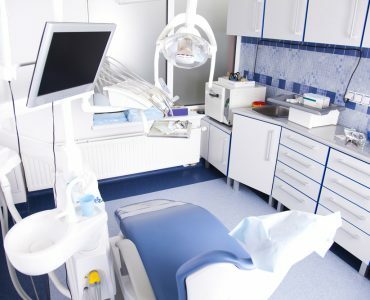 A typical process often involves firstly the initial consultation and then treatment planning, where alternatives will be discussed, x rays taken, and models of the teeth prepared. 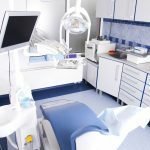 Then there will be the implant placement, which in itself is a minor surgical procedure that can be done under sterile conditions in a dental surgery and performed under local anesthesia. Following that will be the restorative phase when the implants can then be used with various teeth options from a single crown, a large bridge or a removable overdenture. And finally following completion of all of this, patients must regularly clean the new teeth under instructions from the dentist. Its understandable that anyone should want low cost dental implants but just going for the cheapest option could lead to more expense in the future. Many people are surprised at how affordable dental implants are especially taking into account long term cost effectiveness. The total cost depends on factors such as how many teeth need replacing, the number and type of implants and if any additional procedures are required to prepare the mouth for the implants. All this needs to be measured up, and its key to get an evaluation be a dental implant expert to ensure that patients are given an accurate cost estimate.